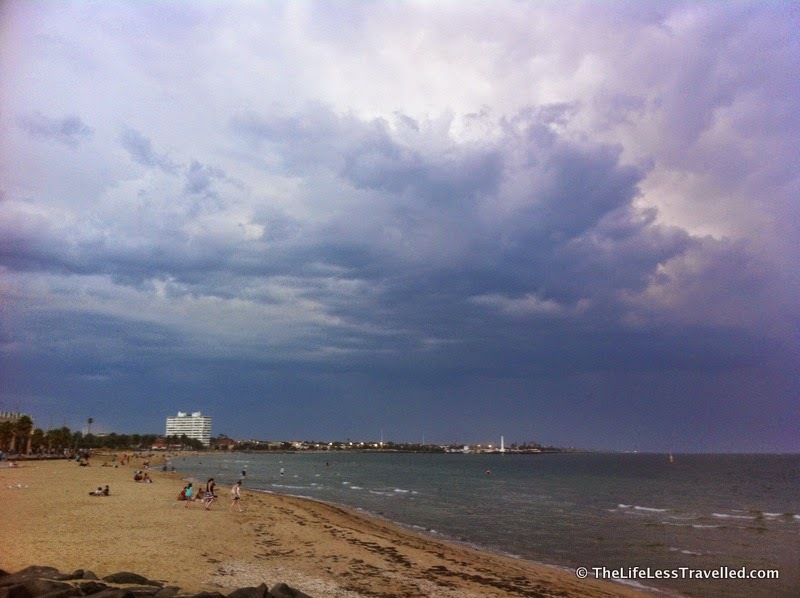 It was hot yesterday in Melbourne – the temperature rose to 36 degrees – so I went to St Kilda beach in the afternoon. 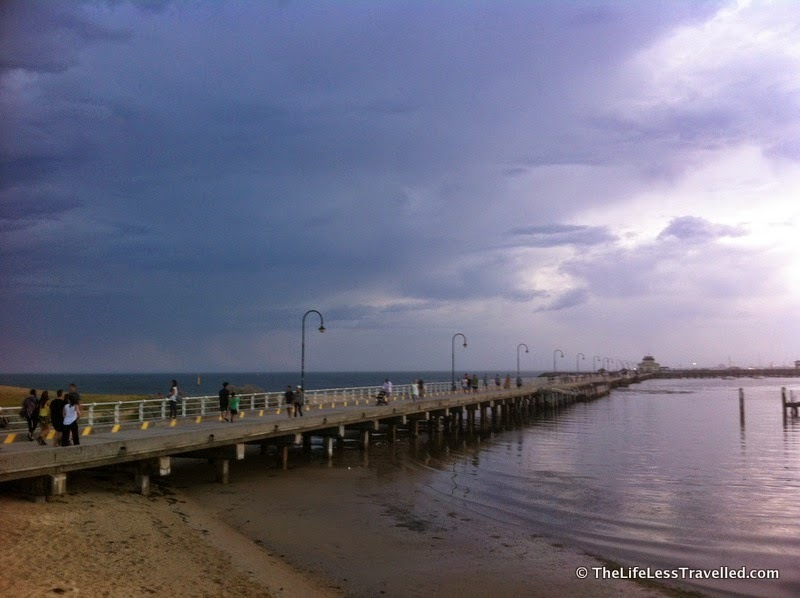 But, as is typical of Melbourne, the weather turned cloudy and rainy. 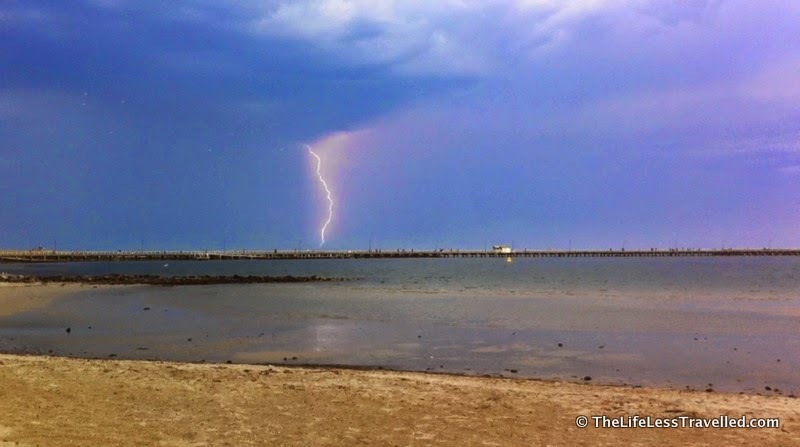 There were big storms in Melbourne's eastern suburbs. 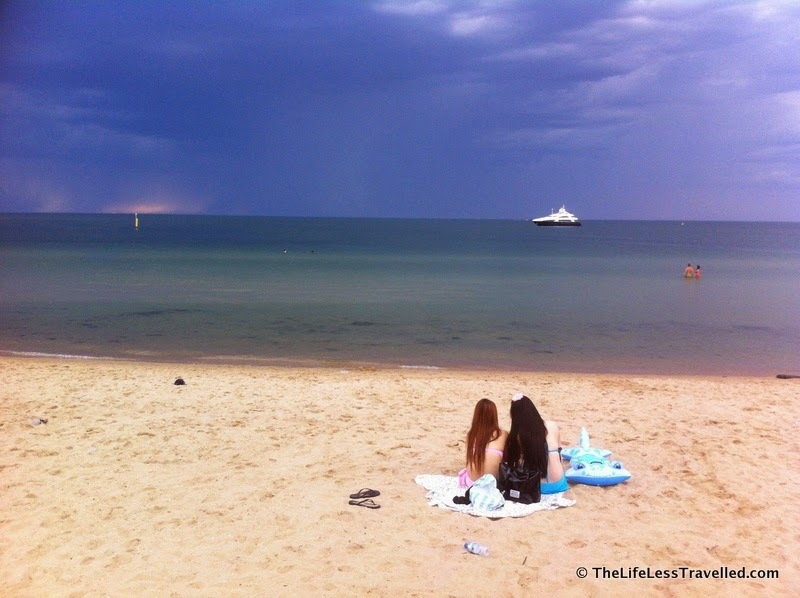 It didn't rain in St Kilda, but there were large angry clouds, with flashes of lightning several times a minute. The sky looked beautiful. 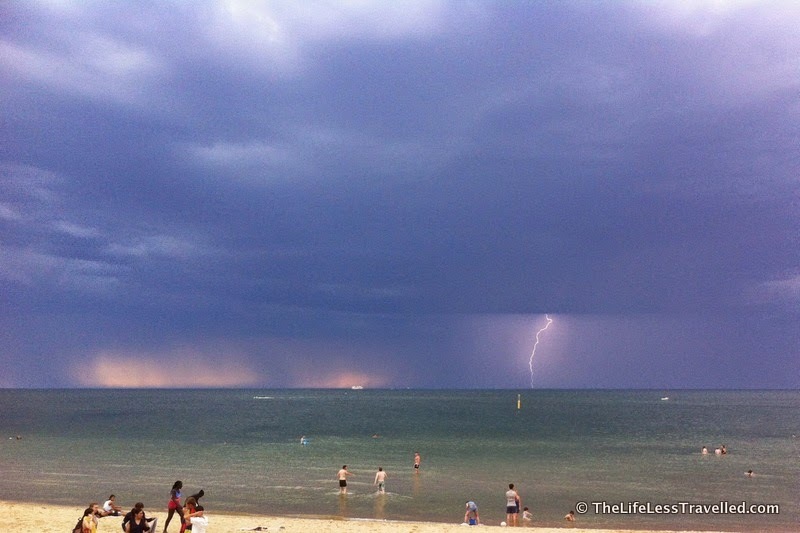 I'd never seen so much lightning before. 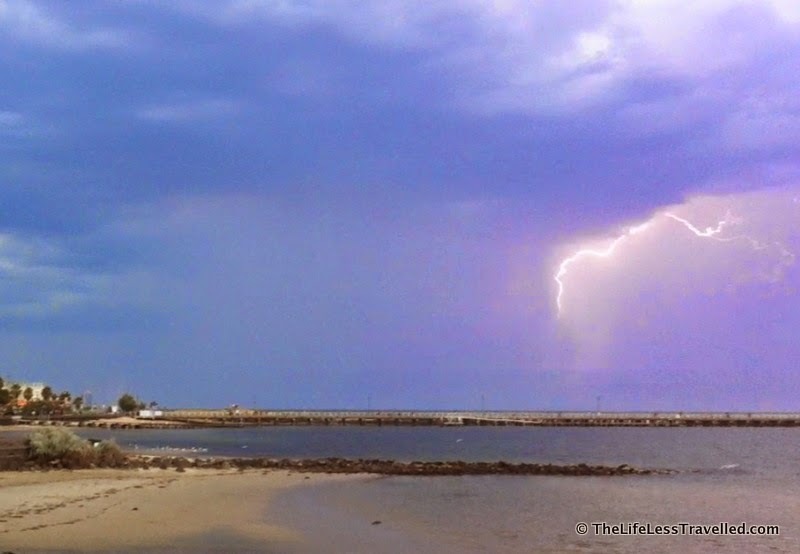 I thought it was so amazing. 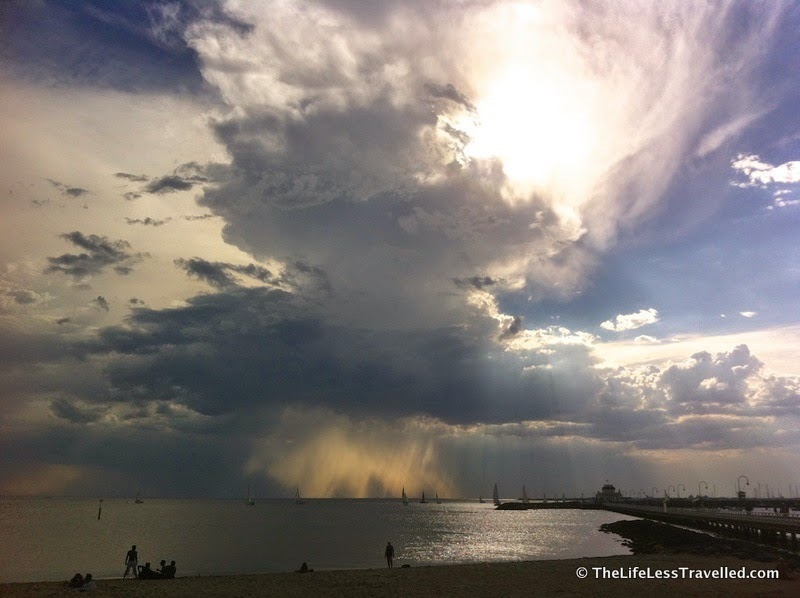 And I was even more amazed that it didn't rain in St Kilda. 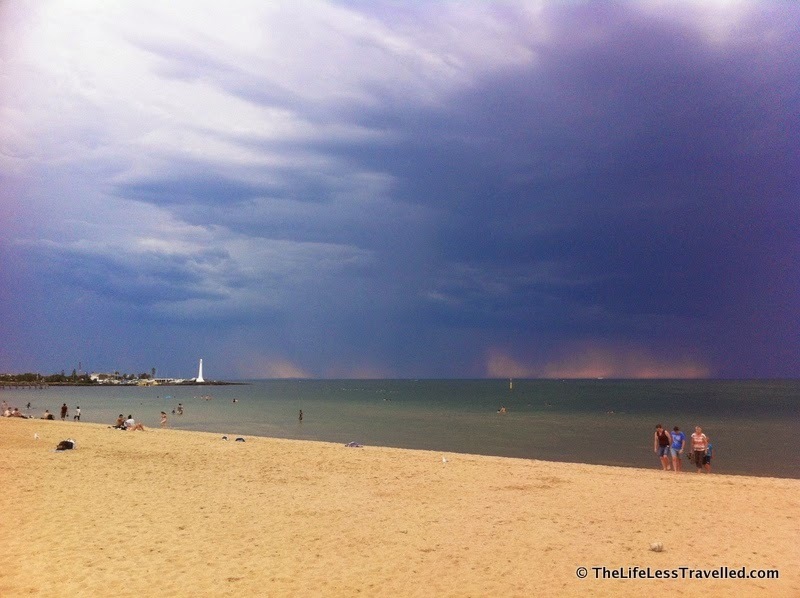 Melbourne weather is an enigma!